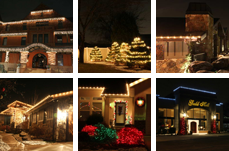 Clean Cut Lighting offers professional holiday lighting in Utah for affordable prices. 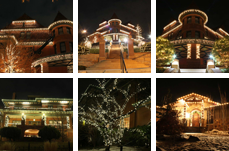 We offer the best outdoor holiday lights in Utah. Holiday lights can take many forms. We recently installed red, green and white LED Christmas lights at a home. The owner loved having outside holiday lights for Halloween as well as Christmas holiday lights. We wired the lights so the green holiday lights were turned on until Halloween. After Halloween they turn the red and white LED Christmas lights on in order to have the best outdoor holiday lights in the neighborhood. Call Clean Cut Lighting for professional and affordable holiday lighting services in Utah. We know you won’t be disappointing.